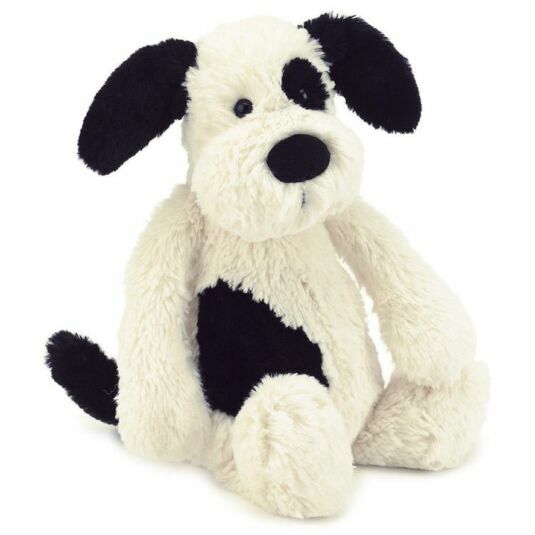 This adorable Bashful Puppy is everything you would expect from Jellycat. With supersoft white fur, black ears and tail and patches of black fur on his body and eye his adorable cuteness is hard to resist. Your child willl want to cuddle up and play for hours. A snuggle friend your child will treasure for years to come.